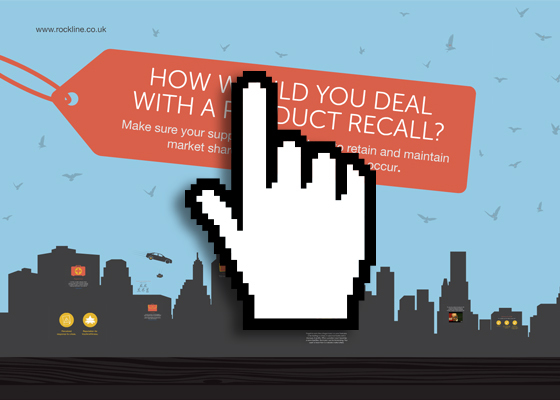 How Would You Deal With A Product Recall? Make sure your supplier has a strategy to retain and maintain market share should a product recall occur. Negative news has a huge impact on your business, often leading to a loss of customer loyalty and a decrease in profits. When a product recall becomes a news headline, the impact can be devastating. You need to know how to maintain market share. Halved the profits of parent company, Bridgestone. Reduced the share prices of both companies. A 16% drop in sales. Long-term damage to corporate reputation. The Consumer Protection Act, No 68 of 2008 outlines how manufacturers, retailers, producers and importers (suppliers) should conduct themselves with regards to the recall of unsafe products. So, do not compound your problems and let your competitors capitalise. Be prepared to handle a product recall correctly so that you can maintain market share. 1. Create a product recall task force. Include all levels of the company. Allow all employees the freedom to contribute. 2. Establish a chain of command. Nominate a product recall or quality control manager. 3. Establish a recall procedure. Implement a 24/7 contact database and communications protocol. Understand all legal and regulatory requirements. Establish a system for identifying safety issues including: product testing, customer complaints and warranty returns. 4. Document procedures for future use and improvement. 5. Ensure existing infrastructures can handle your recall procedure. 6. Test your system regularly with a mock recall. 7. Partner with manufacturers you can trust. 8. Have protection in place with your manufacturer. 9. Include process change protocols in contracts with raw materials manufacturers. 10. Build relationships with logistics providers who are able to reclaim a product from consumers. So, if the worst happens you are ready. You’ll also be prepared to maintain market share. Aim to turn your crisis into a positive media experience. Fold safety into long-term brand strategy to strengthen consumer trust. To find out more about long-term brand strategy and maintaining a sustainable portfolio of products, get the guide: Boost Your Brand – How to Build a Sustainable Growth Portfolio. This was first published on the Rockline blog. This article was syndicated from Business 2 Community: How Would You Deal With A Product Recall?